It was a while back when Orsome was commissioned to develop a new class of apps for Harcouts, New Zealands best Real Estate company. At the time the app received various awards, but its great now to see Apple now hilight it on the business pages as a great example of technology at work. Click this link to see the whole story. 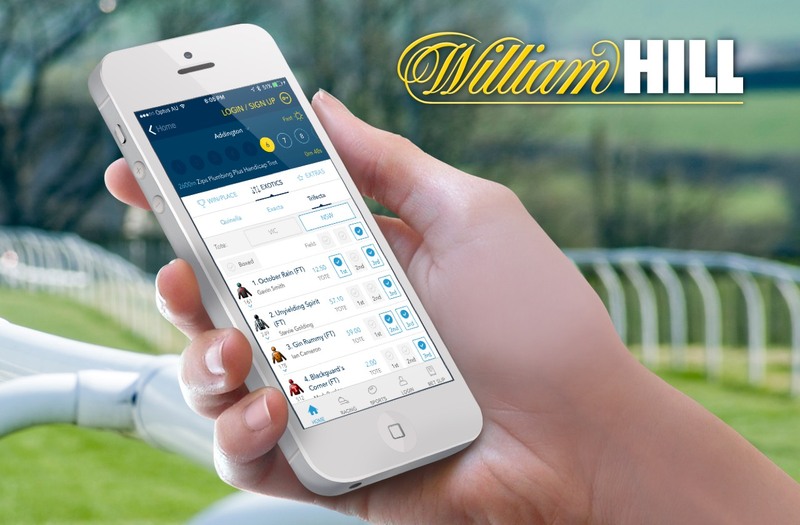 Peter was part of the great team at William Hill that rewrote their mobile betting solution. Its brand new and now the quickest way to put a bet on both horse and sports events across Australia, New Zealand and elsewhere. 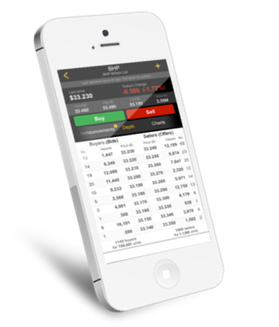 It was great to be part of the team developing this all new app for one of the country's largest companies, The CommonWealth Bank of Australia. It was a massive undertaking and culminated in an app that is both high in functionality and on the cutting edge of interactive design. If you are a customer you must jump to the AppStore now, and if you're not a customer, you should take a look anyway, and see what you are missing out on. For those obsessive compulsive types. If you are anything like us, you love to follow the fluctuations of the stock market. It gets even more compelling once you have some money riding on the success of your favourite companies. At Orsome, we are a bit addicted to this, and so have written an app to scratch our itch. The app is on the store TODAY ! Click here to download it now. 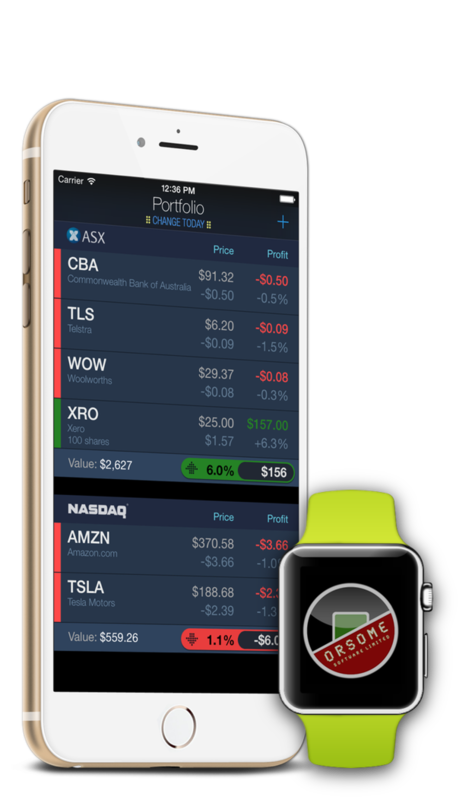 The app can just be used to monitor stocks like a watchlist, But the real power comes when you enter in your holdings. The app shows you either the gain ( or loss ) you have achieved today, or show the total change since purchase. There is charting, and best of all a widget in the Today View so the ticker showing your profit is always just a swipe away. Given that the new Apple Watch is due out in weeks, we got busy making sure you can get your quote fix at the flick on your finger. Anyone who buys the app today will be able to get the watch app too in the next free update. you watch change throughout the day. Orsome is on the way to Apple, Cupertino. Once a year Apple invites developers from around the world to San Francisco to see and learn about upcoming software they will soon release. This year the conference sold out in less than two minutes, but we managed to secure a ticket, and Peter will be headed over to be part of the excitement. The opening keynote of WWDC ( World Wide Developers Conference ) will be well covered in all tech sites, and we expect Peter will be busy all that week, speaking directly with Apple engineers, and learning up on how to take advantage of everything Apple have on offer. Its exciting to be part of this industry at this time. STOP PRESS: A reader just informed us they spotted Peter in a press photo in fortune magazine, rubbing shoulders with Tim at the convention. We've posted the image here for your viewing pleasure. 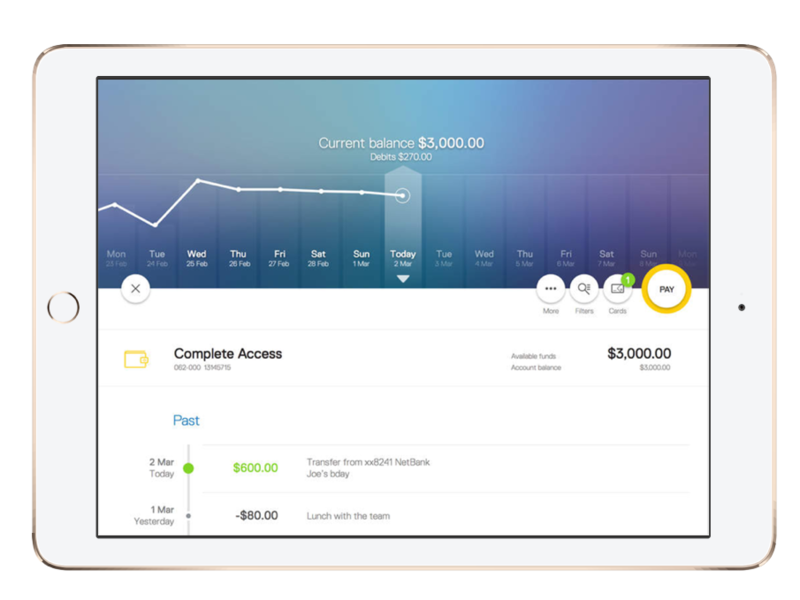 AMP have now released their new banking app that lets you manage your money anywhere, anytime. We were part of the iOS team responsible for getting this first version out the door, and its looking great ! Apple is on the cusp of 50 billion downloads on the AppStore, and part of their celebration is highlighting some of the most popular apps that made this achievement possible. We were real pleased when we saw the eMail come in from Apple, acknowledging WeatherZone+ had made it into the top 25 list, of the most popular paid apps of all time in Australia & New Zealand. Fan-Tas-tic ! Its been about 18 months since we were involved in this app, but its nice to see how well it has been received and its continued success this year. If you haven't already got it on your home page, then go and grab it now. Its certainly a favourite of ours and great to know is a favourite of so many of you out there. 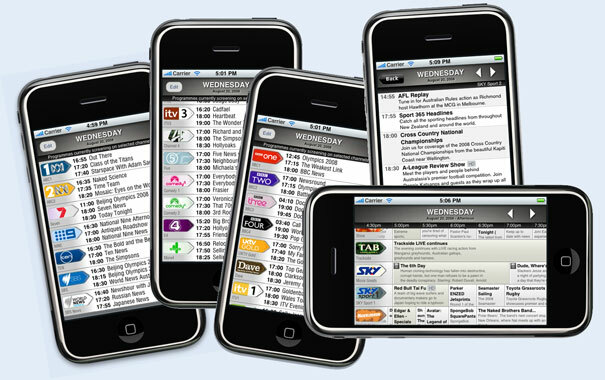 We were very pleased to be involved in the development of the new companion app for Australian Broadcasting Commission. Its the official '2nd screen' interface to their network and a whole new way to interact with the broadcast programmes, and other viewers. It even gives you reminders so you'll never miss your favourite show again. The first programme screening to use all the features is 'Tractor Monkeys' which screens on Wednesday nights on ABC1, so make sure you have it loaded on your device before then. The app shows ABC's full program guide and is the best way to play along with the show and participate in the discussions. Best of all it's free for all users and available in the Australian Apple store now. Our most popular app hadn't been updated for quite some time. 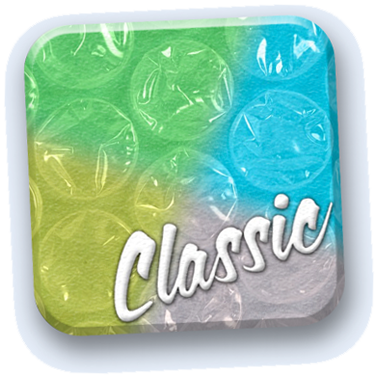 So today, we are very pleased to announced the availability of version 2.0 of the Classic BubbleWrap popping app, BubbleFREE. This is the first app from Orsome to support the GameCenter features, so make sure you log in to see new challengers and global leaderboards. Also, 你好。to our friends in China, who now have their favourite app translated into their own language. We know there are more than 12 million users of this game already, and now with the ability to challenge your friends within the app, we think you're going to want to share it with them all. Have fun! 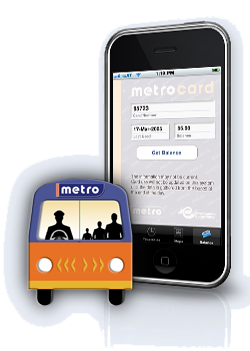 MetroInfo has long been a popular utility app for commuters in Christchurch. Today, Orsome Software is pleased to announce the release of a completely rewritten version. It's now much easier to discover which route you need, and the timetable data is now interactive. 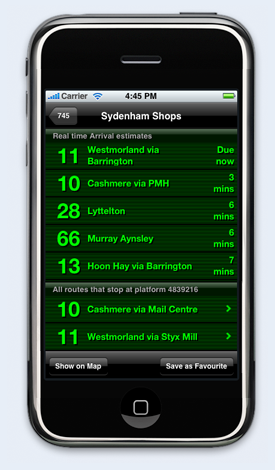 You will love the new 'real time' function that shows you exactly when the next bus will arrive. 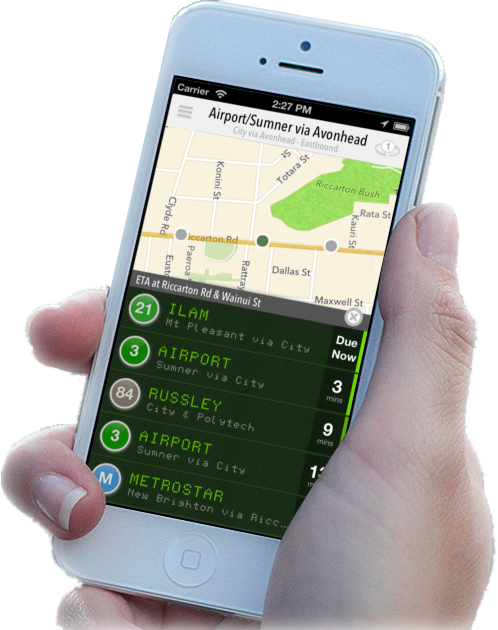 It also smartly zooms each route to show you the closest stop to where you currently are. Due to popular request, we've now added the ability to bookmark your favourite routes, and even rename them to suit. And wait till you see how it can show you your current balance on your Metro card ! The app will be on the store real soon, and all existing users get the new version for free, so go grab it now. Oh, and one more thing... It's full of retina goodness and runs sweet on the iPad too. 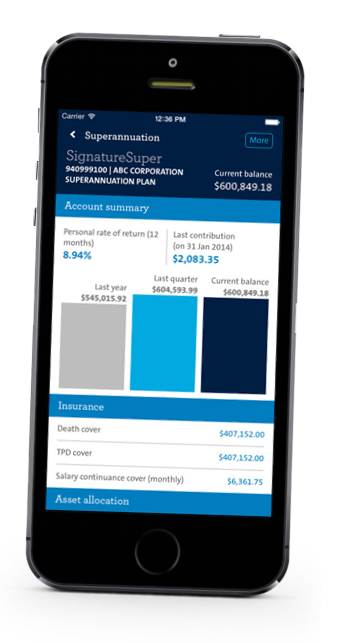 Peter has been busy in Sydney working with the award winning digital group at Fairfax to help produce a new iPad app for the Australian Financial review. The magazine style app brings together content from the AFR paper, its inserted magazines, breaking news and live market data. The app does provide a lot of valuable information for free, and if you are an AFR subscriber, you get a whole lot more data, including live quotes and ability to set your own watch list to monitor. Go give it a try. - "Be patient and never freakout"
He managed to get a score of 334, and for his effort he was given the US$250 cash prize. 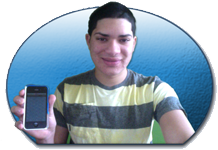 BubblePRO is one of the only apps out here that can make you real money. We've reset the high score chart and will again be giving away prize money, This time the competition will run through till the end of March, and all scores submitted before then are eligible to take away the prize. Some has asked if there is any change of beating these PRO players, and you will be happy to know you don't have to. 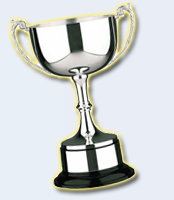 Previous winners are not eligible for future competitions, so its fair for the new players too. Have fun, and a great 2012 to you all. It has only been on the AppStore for a bit over a week, but it has made quite an impact. This morning we were pleased to see our latest work get recognised as the top selling app across all categories in Australia. Struth mate! We are stoked you are all enjoying it so much and we see there is now over 5000 five star reviews for this app, Here is a sample of some of the feedback we have had already. - "Best Weather app here. Brilliant, Keep up the good work!!!" 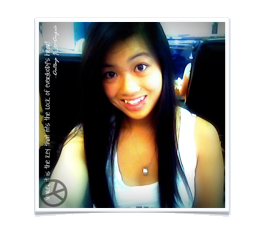 - Drillbot. - "What can I say, Fantastic"- Buggarme. Even though 3.0 is a big hit, work is already underway to get a new build out to you all that makes it fair dinkum better still. Keep an eye on the appStore for free updates as we get them out. Even though we don't mention it nearly as often as we should. We are still running the monthly competitions for the top prize in our BubblePRO game. Every month we give away cash, and again this last month we had Gary from Florida take out the best score, and get his $100US payout. Here's what he had to say. "Ok first i have being playing this game for a while and i just play for fun but with practice my score was improving. When I receive the email from Orsome I was like "Wow this couldnt be true". To be honest at that moment I couldn't believe that I would get the prize. He send me the prize very fast. One of the best games that i got in my iphone :D"
For Christmas, we have US$250 up for grabs. Go and download the game and have some fun, You never know, you may be next to win some Orsome dollars. 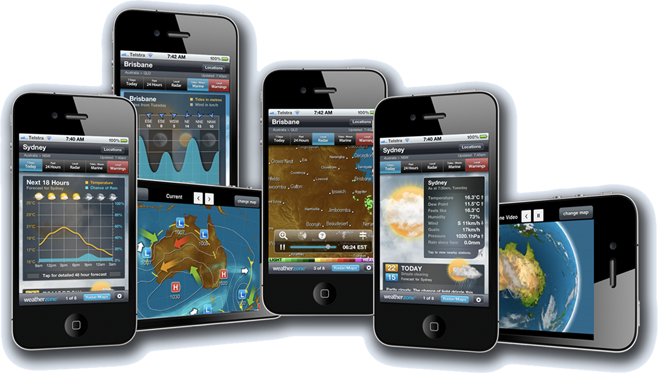 If you live in Australia, you will definitely want to get the new official apps from Weatherzone. There are two newly rewritten apps that give you the very latest and detailed forecast information across Australia as well as some data for other areas around the globe. The free app lets you pick any city, see a detailed forecast, as well as the long range outlook. There are also Charts and satellite images available. The Weatherzone+ app gives you that, plus a full interactive radar screen that lets you zoom and pan around the whole country, even overlay the latest lightning charts via an in-app purchase. 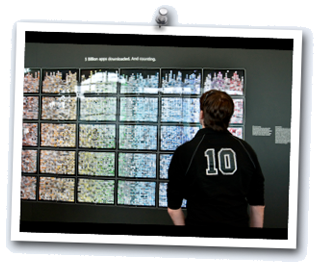 See temperature trends at a glance or graphs of historic data, tides and more. The paid app also takes advantage of the latest features of iOS including notifications so you can get alerts when there are warnings issued in your area. Our lead developer has been based in Sydney to get these apps done for Fairfax. Peter is now busy on some more exciting things with them that we will be able to talk about later in the month, Stay tuned. Today is Orsome Software's 3rd anniversary! 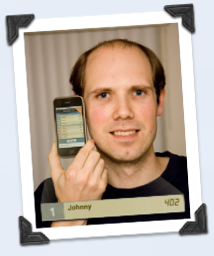 It just doesn't seem that long since we formed the company and joined the rush that would become app mania! What a crazy and exciting ride it's been working with so many great companies, right around the world! We were there when the AppStore opened in 2008, and since then, we've been behind more than a dozen titles on the store, with millions of downloads, thousands of dollars given away in prizes, and heaps of awards along the way. Right now Peter is across in Australia, working under contract for a high profile client on a rewrite of an already popular app. This new version is looking really good and we will post information about this when it is ready to ship. We have other projects lined up already, but we always have time to consider work. If you have the need for some iOS work feel free to contact us. Our company may be only three, but we have decades of experience in this exciting world. 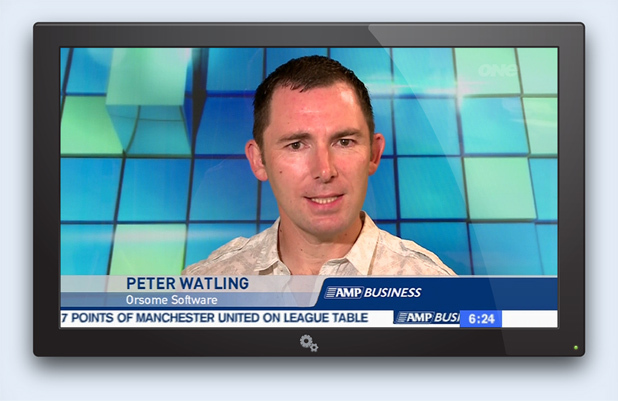 Thanks for the encouraging eMails from those of you that saw us on the Business Breakfast news this morning. For those of you that missed it, Here is a link to the story for your viewing pleasure. You get to see a bit of MobileAgent and some comments from Peter from about half way thru the clip. Anyone who follows the startup scene may have heard about New Zealand's first Startup weekend that just completed this last Sunday. Peter, our lead developer was part of the fun. They got together a group of thinkers and doers, mentors and investors and had a solid weekend building up new business ideas. At the end of the 54 hours a number of pitches were presented to a panel of judges. Lots of the ideas had merit, but the one singled out as the most viable and innovative was the TaxiSurfer concept. Peter was responsible for putting together a working iPhone app over the weekend that demonstrated the whole process, and it made quite an impact. There was a great write-up in Unlimited magazine that you can read by clicking here and now the whole team is figuring out a game plan to see how they can release this service to the world. 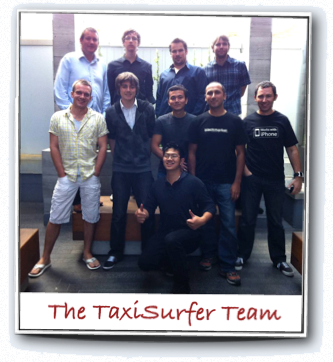 You can follow their progress going forward from the web site http://taxisurfer.com. Good luck guys! Update April 18: There was a great followup article in stuff.co.nz today. Click here to read the story. The prizes have just been handed out at the Leading Real Estate conference of the world in Las Vegas where representations from over 600 companies in the industry have congregated. Harcourts International scooped a number of awards including 1st place in the coveted New Media category, where the MobileAgent and eCampaign apps from Orsome had been nominated. revisions of each of these apps that will be released in the near future. Its only going to get better! We have been a bit preoccupied over here, as everyone in Christchurch is trying to cope with the disaster created from this latest earthquake. The rescue crews are doing a great job of finding people that have been buried in the many buildings that have collapsed. We were thrilled when news came through of a friend whose mother was found alive after being underground for more than a day. 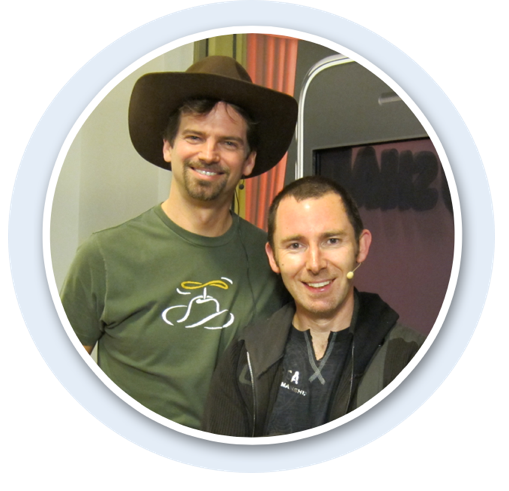 We have also been concerned to hear Murray Wood, who has been a significant part of the Apple community down this side of the world, is amongst the many that are missing. Thanks again for all the messages of concern. We are amongst the lucky ones. Our home is fine, and our immediate family all safe. 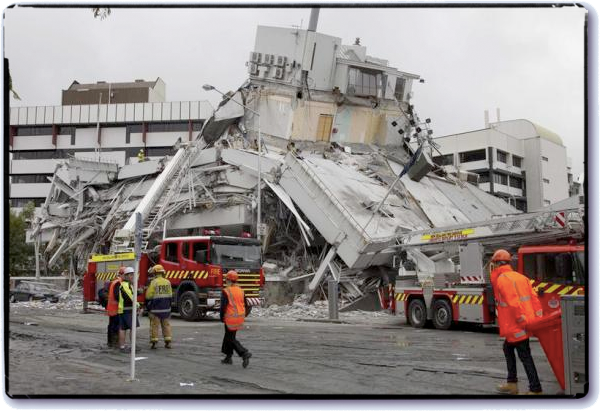 It is going to be a long hard road to rebuild Christchurch. But the people are strong and I'm sure, when we get to the rebuild phase, we will end up with something even greater. After the success of the MobileAgent app, Orsome was asked to come up with a new product for Harcourts agents around the world. It was to integrate with some existing corporate systems, leverage some 3rd party data sources and be distributed to agents 'over the air'. Play the video above to get an idea of how it looks. The data shown is just dummy content, but it does pull the agents own information from their central servers. Other pages are there for the agent to work through with the prospect, allowing them to build up a complete campaign on the spot. The app is not available on the AppStore and is distributed via the Enterprise licensing scheme. It's been a great project to be part of and it's an app that really sets their agents apart from the rest. Following on from yesterdays post, here is another great app we did for one of NZ's greatest exporters. Orsome was approached to create an app to come out with the launch of a new marketing campaign showcasing products from the many top clothing brands including Ascend, Erdos, Ibes and Icebreaker. Zque is the product, and it's something that lets you quickly discover more about their 'ethical wool' line. New products contain a special form of barcode, that this app scans the code and then tells you more about where the garment you are holding came from. You get to meet the growers, and see videos of where the wool started it's life. As well as being informative, and full of gorgeous images of New Zealand farms, it's also a bit of fun, as it includes a quick game where you have to sheer a sheep as quickly as possible. You can find it on the AppStore now. Some have asked why we've been quiet on this site recently. Our own apps have had some minor updates, but a lot of our time has been spent on several new Apps, done by us under contract. This is something we enjoy at Orsome Software, as we get to work with some great companies. Over the next few days we'll post news about some of this more recent work. The first one we'll highlight is 'Off The Back'. This simple app was done for another Christchurch based company that offers several good deals each day. They were one of the first that used this model of marketing, and also quick to have a native app to make it easy to see what is for offer from their popular web site. You can grab the FREE app from the appStore right now and see what bargains are available today, but be quick, they usually sell out fast. Another year has kicked off, and what better way to start it than some giveaways. First Orsome had to pass on some iTunes credit to a long time player, who is often in the top ten, but hasn't yet taken out the #1 spot. Congrats Zac. 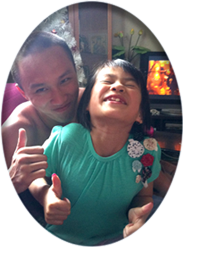 Then on the stroke of midnight we had Tuan and his 8 year old cousin Michelle take out the US$200 prize for a massive effort getting 324 points, just one above the previous champ. Good work! For January we have upped the prize a bit to US$250, so give it another try, and this month it may be you taking away some cash. We are very excited to see our MobileAgent app for Harcourts featuring on the latest ad campaign for Apple. Look out for the bit in the middle showing it browsing images for a property. If you want to see the full sized version, or want to check out some of the other ads from the same campaign, Click here. We have been through them all and we just cant get that tune out of our heads now. The Classic BubbleWrap game crosses a landmark. We haven't mentioned our original app for a while now, but since it's just crossed such a momentous target, We just had to post the news. 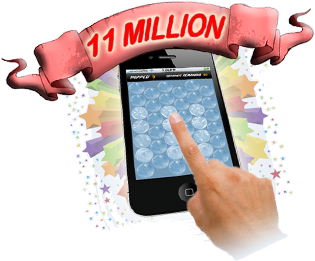 BubbleFREE has now had over 11 MILLION downloads! If you don't know what all the fuss is about you should follow this link and grab it now. This app has received so many awards, and it's been spotted on iPhones in deepest Africa, and on the devices of celebs in tinseltown and everyone inbetween. 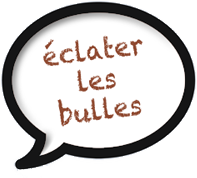 Over the last couple of years it's gone through a few changes, The interface have been tweaked, it's been translated into other languages, and more recently had a name change to BubbleFREE to keep on side with some legal folk. as ever. Tap this link to install the latest version now. We get mail all the time still from people who are only just discovering it, And it's still the best way to get skilled up for the PRO version where we have given away over $11,000 of cash prizes already! Many happy poppin returns! It was great to attend the first TEDx event down here, and the lineup of speakers they brought together was fantastic. Highlights include hearing from Bruce McIntyre and his new passion for education, Rob Hamill's personal dealings with the Khmer Rouge and Ian Shaw, who managed to bring to life some rather complex science, that is have a real impact on human development. We were also educated and inspired from leaders in research psychology, political philosophers, business leaders and the chairman of the Buy1Give1 philanthropic movement. This year they only allowed 100 people to attend, so if you do get the chance to go, get in quick as they do sell out. If you do want to see more of what these TED events are all about, follow this link. The talks from yesterday were streamed live at the time, but if you missed that, they be available to view online on the main TED site before long. It's a place worth spending some time at. Enjoy! It has been a while since we posted an update on this blog, but just to let you all know we are still churning out the code. Although there hasn't been a new title under the 'Orsome' brand for a while, we have been the company behind several significant apps in the corporate and retail space of late. Once the products have been released we will show you some more samples of the work we are doing, but we're very excited to be working in these 'verticals' based around the iOS platform going forward. forward and down which send output to the iPhone while in motion. I let it fly around the outside of the house and my wife thought she was seeing some sort of huge bug outside the window. "I'm just checking the gutters for leaves dear" :-) I love my toys! 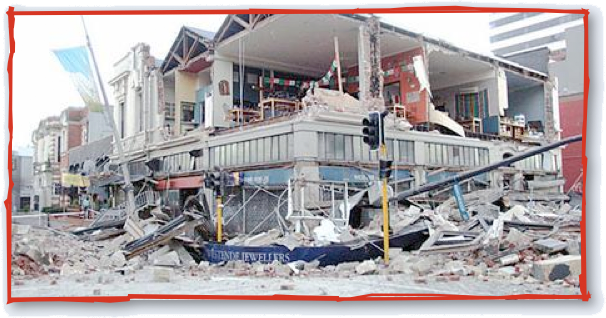 As many of you know, we operate out of Christchurch, New Zealand and this weekend we were the target of a 7.1 magnitude earthquake. Even though the aftershocks are continuing, we have been lucky, and have escaped the worst of the damage, and our premises and family are all fine. The city is in the process of trying to restore normality, although it is likely to take quite some time. ( Another quake just struck as I type this ) Many thanks to all those who eMailed us with messages of concern and support. As always, a new competition has already begun, If you haven't already got BubblePRO then click this link to grab the app and get popping. We like to keep an eye on feedback for our apps, and one great tool we glance at from time to time is provided by the program 'PositionApp'. It lets you set a number of apps to track, then tells you it's movements in the charts. It was exciting to see this morning, our four most popular apps all holding the top position of their respective categories. Thanks to you all for the encouragement. The iPad will be released in New Zealand tomorrow, and our apps have been refreshed in antici...pation. 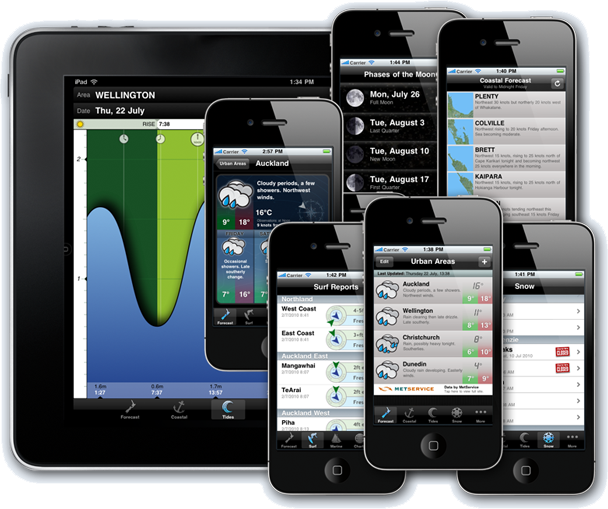 The new version of WeatherNZ uses the full screen of the iPad and has all the same features of the iPhone app. In fact, It's a universal binary so you don't even need to buy a special copy for your new gear. If you haven't already bought it, then tap the icon to the left of this column to go straight to the AppStore. 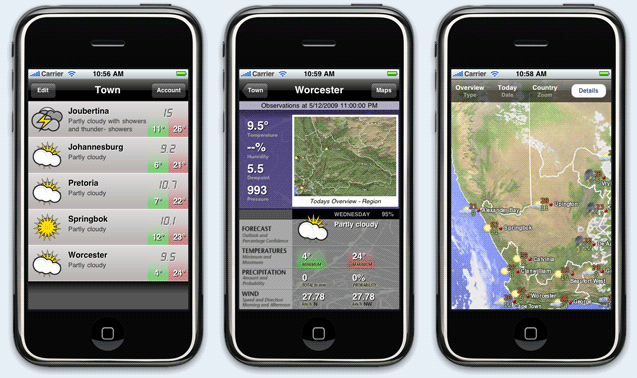 In no time at all you'll have the most accurate forecast information available, right on your device. tvGuide was one of the first apps from Orsome, and has always been a very popular find on the appStore over these last two years. With all the exciting new changes with hardware, and software, it came time to go back to the code and bring that app up to date, and exploit all the new cool things now possible. We have just submitted the new tvGuide app to Apple for approval, and we know you will love the new one even more than the original. It now updates data much quicker, and it always keeps a couple of days of data locally so you can use it better offline. This new version lets you set favourites, and if you are running iOS v4, you can have these trigger alerts to remind you that your programme is about to start. The EPG is much smarter, and now lets you scroll continuously with a single swipe, and also lets you scrub over the title bar to zip forward and back through the data and senses a double tap to slide to current time. Best of all you can now touch an entry to see all of the description, plus any additional data we know about the listing. Cool eh! This app now does the right thing on the iPad too, and uses split navigation views, and popup windows to get much more information on screen at one time. 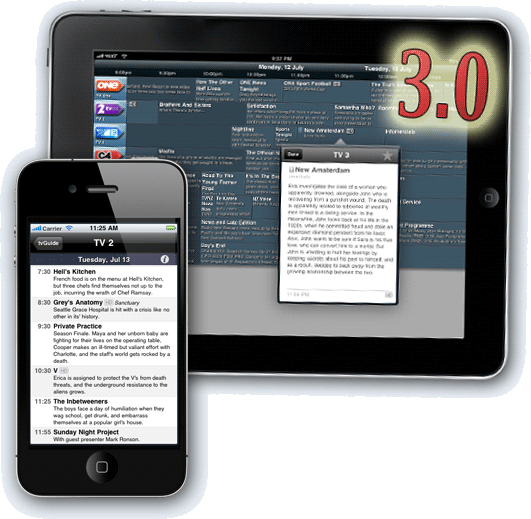 tvGuide v3.0 will be a free upgrade to all existing users, and remain at it's bargain $1.29 price for new users too. Tap the link alongside to go straight to the tvGuide app on the AppStore. 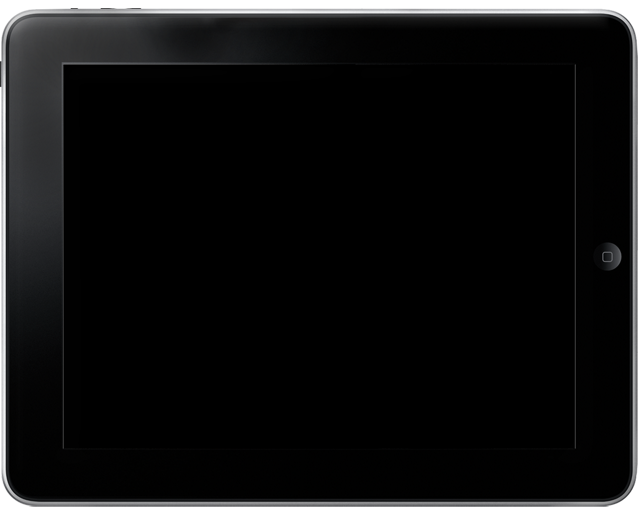 We are getting inundated with requests to develop apps for the iPhone and iPad. It does allow us to be selective as to what we take on, but right now there are a bunch of exciting projects we want to get involved in, and it looks like we need another set of hands to get them done. 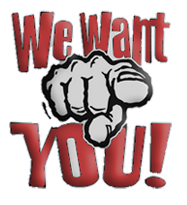 We are looking at taking on another developer in the Christchurch area, who has some experience with the iOS SDK and wants to be part of all the excitement around this platform. If this sounds like you, or you know of someone who might be suitable, get them to eMail us at support@orsome.co.nz, and we'll see if we can work together to create the next wave of Orsome Apps. Every year in San Francisco, Apple host a conference, bringing together developers from everywhere to get all the technical details on how to take advantage of new and upcoming features on their platform. This year was very exciting, with Steve Jobs unveiling the new iPhone 4, and giving more information about what the new version of the OS is going to allow for existing users too. 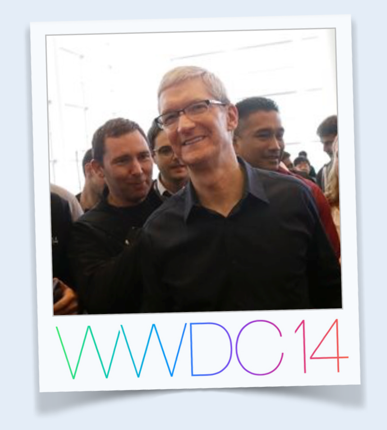 It's also an opportunity to sit alongside the Apple staff and get one on one advice and tips. Peter was at the conference again this year and is all revved up to start implementing some new ideas. We hope to be able to let you in on some plans soon. While he was there he also spoke with the AppStore crowd, and we're working through a couple of issues so we can get the BubbleWrap app game back online asap. Orsome have had a bunch of mail this last week from people not able to download it, but this should be fixed soon. There will be an entry here when the status changes. While on the MacMania 10 cruise, Steve Mirsky from Scientific American recorded an interview with Jason Snell, Editor of MacWorld, along with our own Developer, Peter Watling. You can hear the interview now on Steve's site. Here is the link to his blog. 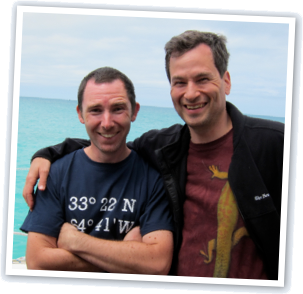 There is a load of other interesting stuff there too, including a great talk with David Pogue, also from the same event. Go take a listen now. 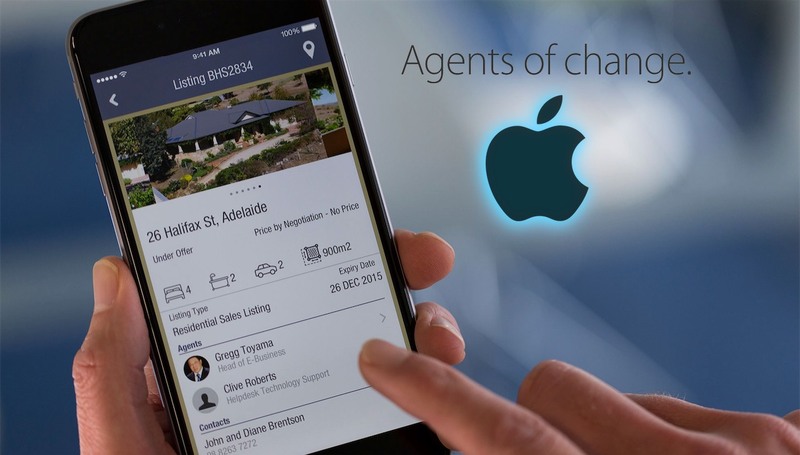 Orsome Software, in collaboration with Harcourts International, are happy to announce the release of Mobile Agent, Your #1 real estate agent is now available for your iPhone or iPad device. It's been in construction for a while, and it includes all the things we wrote about it in that post in March ( Scroll down a bit ) and a bunch more things too for registered agents. The last touches of this app were actually completed and submitted to Apple, by Peter, while he was out at sea off the coast of Bermuda on MacMania 10. The wonders of modern technology! The app is free so go grab it now. MacMania 10 is in full swing on the Holland America cruise ship MS Veendam, currently docked in Hamilton, Bermuda. It's a combination of holiday and conference with our own Peter Watling having given a talk on his experiences living off the App Store. He's in good company there with other speakers including David Pogue, author of 'The Missing Manual' series, Jason Snell from MacWorld, Sal Soghoian, The Applescript man, writer Andy Ihnatko and fellow geek Rich Siegel, the developer behind BBEdit and several other speakers who are experts in their own field. Parts of the presentations, including some of Peter's talk, were captured by a German film crew on board the ship, collecting material for an upcoming documentary. That could be something to look out for. During one talk there was a show of hands as to who had an iPad, It was probably 80% of the group, with most of them having the new 3G model that had only been released a day before the cruise began! Peter's all revved up to make sure our existing portfolio of apps are modified to take advanatge of the cool things this addition offers, so you can expect to see some updates before much longer. Peter has been chuffed how many BubbleWrap fans have approached him to shake his hand and rave about the fun they have with the game. Maybe you all should give BubbleWrap another go too, the current game finishes this week with a cash prize going out to the top score. Last time we went to race day here, we couldn't see past the big hats to see the odds for the runners. If you are anything like me, you make your selections mostly on the names of the horses, or your favourite jockey. 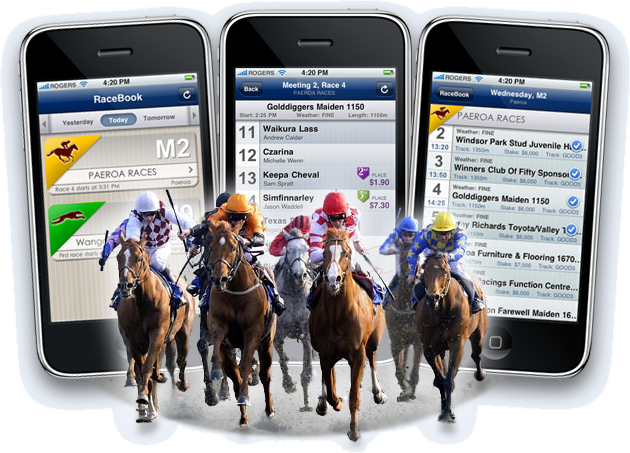 So we decided to put together an app just for all the New Zealand punters out there. With the welcome co-operation from the New Zealand Racing Board, we are now able to provide this data to you quickly wherever you happen to be sitting. The data is cached locally, so you can even use this to have a race book on your iPod Touch if you load up the data before you leave home. The one off cost of NZ$2.59 will provide you information for runners in all NZ races each week. This includes information for Greyhounds, Harness and Gallops and shows you odds, as well as results for completed events. Update: Sales of this app has been suspended for now. We hope to be able to make this public again soon. BubblePRO competition has a winner. Our latest competition ended with another Australian taking out the top prize. Like the rest of the world, we are waiting for Saturday when the iPad ships, and and when it does, we have a new unit put aside to pass on to our new winner. We will post a photo and details shortly. In the meantime, you can still play, and we have a cash prize of US$250 for the best score later in the month. Have fun! Adding finishing touches to new App. Orsome Software has been busy putting together an app for Harcourts International. We're really proud of this work and we think you will find it handy. 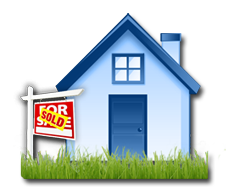 It lets you search for rentals or properties for sale right across New Zealand, Australia and South Africa. You can see them on the map and save favourites and quickly make contact with agent from within the app. We have been working closely with their back room guys and we have something that talks directly to their live servers, to make the quickest, most mobile way, to get this information at any time. As well as displaying all this publicly available data, If you are a registered Harcourts Agent, you will definitely want to get this as it lets you search across H1, see your tasks, contacts and display CMA data too. We gave a sneak peek of this app to the guys over at www.nziphone.com, and they provided some valuable feedback and wrote up a rave review on their site. You might like to bookmark those guys if you haven't already. They keep their site up to date with all the latest relevant news for iPhone users. There are a few screen shots so you can see what it looks like. We hope it will be available on the store now within a few weeks. Supply of data from SKY TV has been suspended. Sadly, our supply of SkyTV EPG data for the New Zealand market is coming to an end this week. Our source is no longer able to distribute this content freely. We are trying to secure a new contract to keep this service going, but at this stage the feed will dry up Tuesday. We will still have the Free To Air programming, as well as National Radio and Concert programming available, but for now that is all. We are exploring a new arrangement, which might involve a subscription service. We will report here if there is progress on this front. We do expect many of you will want to go through your selection of channels and remove the ones that are no longer receiving data. An upcoming update to the app will automate this, but for now you need to tap the EDIT button, and reselect the new channels manually. 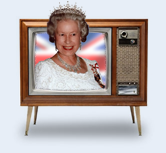 In New Zealand, we now have the free to air channels, as available via freeview. TV One, TV 2, TV 3, C4, TVNZ 6, TVNZ 7 and Maori TV. We also carry the Radio New Zealand listings for both national radio and concert. As for Australia, You have all these Free to Air channels to choose from: 7TWO, ABC2, ABC3, Aurora, Christian, Australia, Eurosport News, GO!, Imparja, NBN, SBS News, Seven Central and across the various states we have ABC, ABC2, Seven, Prime, Nine, TEN, SBS, SBS News, WIN, 31, Golden West, TVS and TDT where available. Finally, for South Africa we currently have M-Net, Action, Series, Stars and the two movie channels. We have just had another winner in BubblePRO. 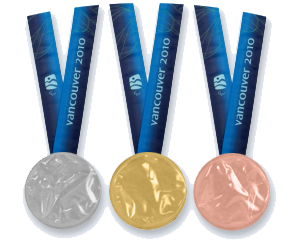 As if all their Golds they just scored weren't enough, We have Anthony from Canada taking out the top prize of US$250. Well done! Anthony writes: As for my secret, well, I really don't have one. I was shown BubblePRO last month by a friend of mine. He knew I had fast reflexes, and told me I could win some prizes. On my first try, I got 246. Realising that I was only 60 points away from the top, I decided to purchase this app on my own iPod. I'm not saying it was easy to make it to the top, though. I spent nearly 2 hours just making it into the top 10, and another 3 beating the first place competitor. All in all, I'm proud of myself for making it this far. I'd like to thank you for making such an awesome app. Another game is already underway, and you're going to love this. The best score in March is going to receive a brand new iPad for free. Yeah, we know, you can't buy them yet, but be assured; We'll be getting some the moment you can, and one of them could be shipped straight out to you. Go get BubblePRO to be in to win. Good luck, I can hardly wait to get my hands on an iPad myself. In other news, Even though we haven't had many updates on this blog recently, we have been busy. We have another app about to go live on the store, and we'll tell you all about it in this next week. Last year we did some work for one of BBDO's customers, Gillette, Yeah, you know, the shaving company. 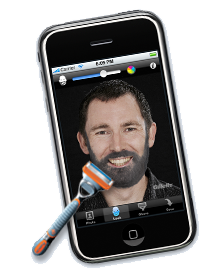 The prodct was uArt which let you have fun adding/removing facial hair to your photos. It seems there have been some instances of advertisers within iPhone apps to use some sneaky method to allow your device to phone out to their companies without you tapping on their ads. 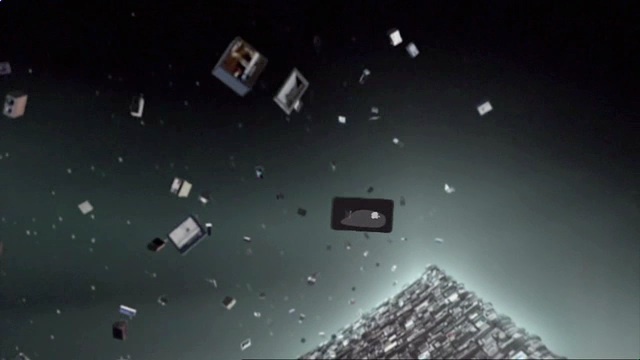 This was only made possible if you were updated to a more recent version of the iPhone OS, and had an earlier version of a program serving content from the AdMob network. The guys out at AdMob have been very quick to discover and block this sort of thing, but it seems several people in the UK ended up will bills to premium numbers late in December which they noticed while playing Bubblewrap. Orsome Software was only made aware of these issues this last week, and we've been in communications with the AdMob guys and been actively passing on what we know to ensure they have trapped these now. This fault was not only effecting our Applications, but any other developers that used the same libraries of code. It is a bit disturbing to see the stories in print suggesting Orsome was involved with these rogue advertisers. Perhaps we were quoted in these articles as we may have been the only developer that responded to the reporters questions on this issue, Who knows? It certainly looks like this bad news was addressed even before we knew about it ourselves. So that was certainly good news to know these dodgy ads should no longer be appearing in our app now. In the event you have any new instances of your phone dialing out while playing our game, it would be most helpful if you could let us know, and ideally note the text of the advertisement you see, along with the number dialed and eMail them to support@admob.com. Those guys really have great controls in place to monitor what happening in this area. 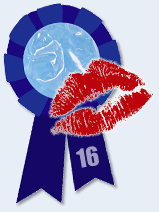 Well, last night saw the end of our second competition for the year, another US$500 goes out to a champion popper. I hope to get a picture of the winner for you soon, but in the meantime, we've started another game. This one runs through till Valentines day. Nothing says "I Love You" like popping some bubblewrap together. Go find your special person and start popping some iPhone Bubblewrap now. 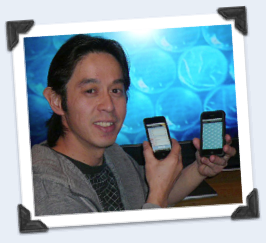 Come Feb 14th, your score may get you a special gift from Orsome Software. We will gift the top scorer US$200 to buy your mate whatever you like. Our developers have been busy, any day now you will all see an update appear through the AppStore for BubbleWrap and BubblePRO. The graphics have had a complete overhaul. I'm sure you'll love the fresh new look. We are just in the process of making sure there are no bugs in there before we set it free to you all. One thing we would like to make sure of is that our translations are accurate. If there is a French user out there that would like to be a beta tester for us, send us a message on our support mailbox support@orsome.co.nz and we will get you a copy to test. Even if you can't speak that lingo, we would be happy to have a few more people playing with this latest version to make sure all is well. The logic regarding the 2x bonus has changed a bit. For those loyal followers that bother reading this blog in its entirety, we have a tip for you. The chance of getting the 2x bonus points is increased the quicker you touch it after it gets inflated. See how you go with that. You might also like to have another play with BubblePRO, there is less than a week now before we give away another $500 cold hard US cash. End of year bug shows its ugly head. We've just been made aware of a bug that will effect how the app downloads data these last few days of 2009. The end result is tvGuide will try to grab the data again every time the app launches, and then display the wrong results on screen. We are working on a fix, but unfortunately this will not be available before the problem corrects itself Saturday, when the year rolls over. We're very sorry for the inconvience, but we just didn't see this one coming. Perhaps while you are waiting, you should just take a break and go grab BubblePro and have a play, we're giving away US$500 to the top scorer. 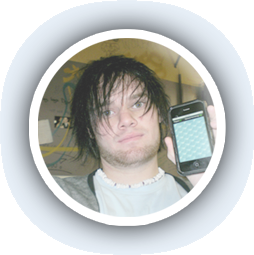 Orsome Developer, Peter Watling has been chosen to be one of the ten developers to head over to Venice to be part of the worlds first reality iPhone developer event. Aaron Hillegass, author of one the definitive Cocoa books for developers, will be leading the team to produce an exciting new app in one week. You will be able to follow progress online here and we will post more details here when we know what Peter and the rest of the team are up to. Whats more, If you follow that link there is a chance for you to win a brand new iPhone. Should be fun week. Many of the channels we previously made available for Australian cable tv users will not be displayed within tvGuide beyond this week. We are hoping to secure a more extensive data feed that goes way beyond our previous catalog of content, but for now those listings will not appear. Sorry for the inconvience but we are hoping to resume normal programming shortly. :-) Thanks for your patience. 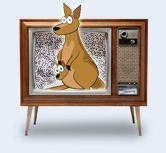 Australian users still have all these Free to Air channels to choose from: 7TWO, ABC2, ABC3, Aurora, C31, Christian, Australia, Eurosport News, GO!, Imparja, NBN, Nine HD, SBS News, Seven Central and across the various states we have ABC, ABC2, Seven, Prime, Nine, TEN, SBS, SBS News, WIN, 31, Golden West and TDT where available. Down this end of the world, the weather is improving. If you are out in the water this summer, you will want to make sure you are well informed of the conditions out there. Orsome has just submitted an update to the WeatherNZ app that adds recreational marine forecasts for all areas around NZ. If you buy the app now, you will get this feature for free the moment the update ships. 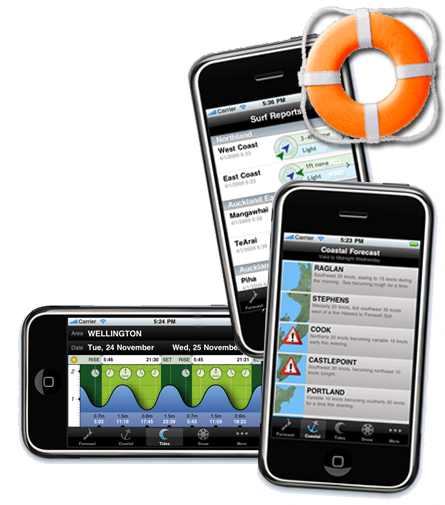 Even without this feature the coastal, surf and tidal areas of the existing app may be life savers for you now. The update includes a few other improvements too. There are changes to moon phases, sunrise/sunset times on the tides page and overall, data is updated more frequently. 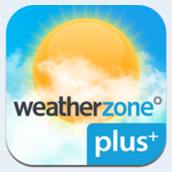 As always, you can get this by browsing for WeatherNZ in the appStore. It also features at the top of the list in the Weather category. So to all the Kiwis out there, Have a fun and safe summer! Congratulations go out to our youngest winner. Fourteen year old Nathan from Australia has made it to the leaderboard several times, and this week he was still holding the top spot when the competition closed Tuesday. He's just received his US$250 prize and tells us his Mum didn't believe he would actually win anything, but he sure has proved her wrong. Well done lad! Like always, we start a new promotion as soon as the previous one finishes, so go and grab BubblePro, start popping and next time it may well be you taking away the cash. Our tvGuide app is featured on the Staff Favourites list in New Zealand and Australia right now, so more of you are discovering how handy this reference app can be every day. It's great timing as today another update is available. This new version lets you now search across all known channels for listings. No longer do you have to hunt thru to see what Channel/Day/Time your programmes are on, just tap the small magnifying glass and type part of the title to see what's out there. Its snappy too, due to the local SQL database stored right there on your phone. If you haven't grabbed it before, now there is even more reason to buy it. If you are a curent user, go and get the free update now to version 2.7, We know it'll be a favourite of yours too. We're chuffed to see our work has been so well received. 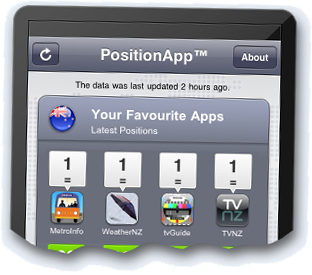 These apps each hold the top spot in their respective categories, and the TVNZ app now holds the #1 download overall. Even though they are doing well as they are, we're not resting. There are improvements in the pipeline to make them even better. Right now, there is an update awaiting approval to the tvGuide that will add a handy search function, and we are back into the WeatherNZ code too. Stay tuned for news. 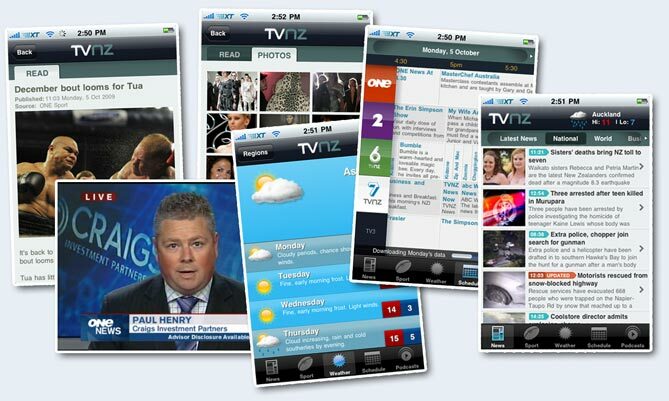 After a very long gestation period, the TVNZ app has finally shipped. Our main developer, Peter, completed this work for TVNZ's digital marketing company, AIM Proximity, some time ago, and its an app we've been using daily ever since. We are sure you'll find it useful too. There's a few screen shots we just grabbed. As you can see it lists the latest headlines for news and sports and lets you choose one of many categories to drill down through. Some stories have photo galleries that you can flick through too. The EPG and Weather pages are pretty handy for a quick overview, and the podcast area is pretty darned whizzy. Its a free app, and its available worldwide on the appStore today. Click the link alongside here to get a copy installed on your device immediately. Now there is no excuse not to be up to date with current and world events. Breaking News: Its only been out a few hours and its already rated at the #1 News app in NZ. Great stuff! 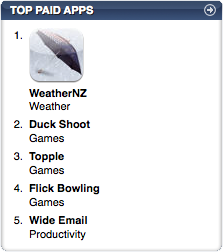 Nice to see our tvGuide and WeatherNZ the #2 and #3 most popular paid apps in NZ still too. MetroInfo has been out for close to a year now, and the most requested feature we've had has been to allow you to see the balance remaining on your handy dandy metro card. Well we are glad to annouce another update to this app in the store today, and wouldn't you know it, There is a new tab across the bottom of the app that allows you to do just that. Enter the small number that appears on the reverse of your MetroCard onto the form and the balance will be updated whenever you view that page. If you do live in Christchurch and you ever use the buses here, then this is one you want. 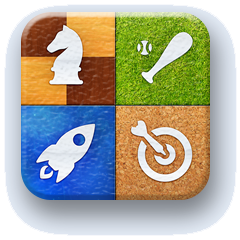 Click the icon alongside to take you straight to the details on the AppStore. 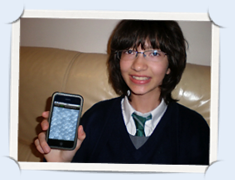 "I never thought I could get anywhere near the scores I saw on the leaderboard, but one rainy day at home with nothing to do, I decided to give it a crack; little did I know, several hours later (yes I was popping bubblewrap for hours on end) and with only about 15 minutes left in the competition, I managed to get the high score. Now... what to spend the dosh on?!" There were a few Australians fighting over the prize this last month, and in a late run he took out the top spot. Congratulations again Guy. And for those that wonder how they get their money; most winners opt to receive their dollars via Paypal. Winners normally see the funds within hours of the competition closing. Of the many thousands we have given away now, only one prize remains unclaimed. We have not been able to make contact as the winner submitted an invalid address. It will be waiting for that person should they contact us via eMail, And before you all start writing in, we will be able to verify the right player. As always, a new competition is already underway, another US$250 is up for grabs. Enjoy! 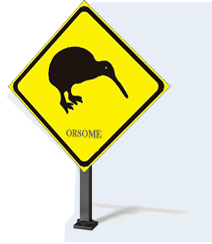 The NZ iPhone community has been a great supporter of Orsome Software's apps, and now a new section on www.nziphone.com has been launched to promote other iPhone developers from down under. We have our first winner from Italy today. Capriccio has scored $US500 for getting 315 points in BubblePRO. I'm sure when the sun rises on that side of the world, we will hear back from our latest winner. As before, a new competition starts as soon as the previous one ends. The current one runs just a couple of weeks this time and has a prize pool at US$250. Still not too shabby for a bit of Bubble poppin fun. Good luck to you all. Welcome to those of you that have discovered us after the mention on the Breakfast show this morning. 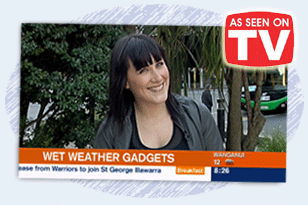 Their Gadget Girl, Tee Twyford, pointed out our popular WeatherNZ App for those of you that want to be best informed about what the weather is doing around New Zealand. Follow this link to read the story, or Click here to get this app onto your own phone or iPod touch now. We have had our first winner from Great Britain today, and what a week to take out the prize! We have eMailed him to let him know, but I'm guessing he's still asleep over that side of the world. He'll be waking up US$1000 richer. Way to go Fraser for getting 316 points in this latest competition. We aren't stopping though, we've already begun a new game, and it'll run thru till independance day, July 4th. Its US$500 this time round... Go give your BubblePRO another go, and perhaps in a wee while, you'll get rich overnight too! 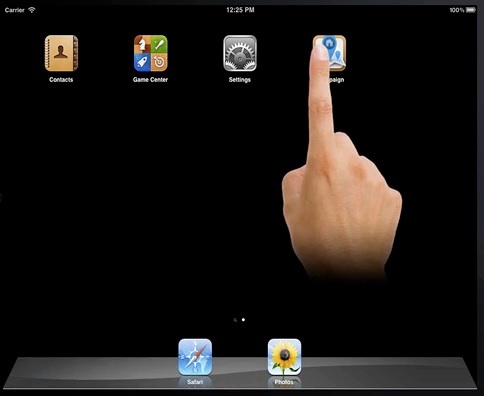 At the conference there is a video wall displaying thouands of app icons. The display is hooked up to the appStore. As an app gets sold it's icons bounces once. It was fun to try to spot BubbleWRAP on the page, and then watch it bounce like crazy every couple of seconds, It looks like there are more and more of you finding this app every day! Boy, we're looking forward to buying some new toys when the new iPhone hits the stores. In the meantime, make sure you get out the BubblePRO and have a quick go while you're between sessions. We've got US$1000 to give away Friday lunchtime. A new v1.1 update to MyTrades has just come thru that fixes a problem introduced with the new look tradeMe site. If you haven't given it a go, Its a handy thing to see the progress on the status of your current auctions. 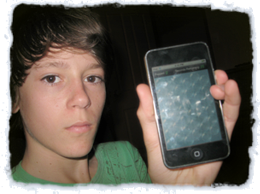 Its great so many of you are having fun with the classic BubbleWRAP app on the iPhone. 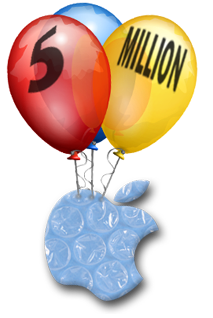 Free downloads have now flown by the FIVE MILLION mark and its still the source of much fan mail here at Orsome Software. We love it that you guys are enjoying our latest app out there. 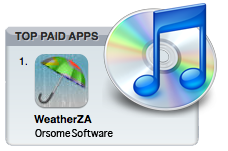 In less than a week, WeatherZA has made its way to the top selling app on the whole South African iTunes music store. If you don't know what the fuss is all about, perhaps you should follow this link and get a copy of your own. It runs on any iPod Touch or iPhone. If you haven't already grabbed it, you should check the updates area under the appStore and get the new revision to WeatherNZ. It fixes that annoying problem that some of you spotted when changing your set of areas. It also adds to the list of marine areas shown, and improves the Snow area ready for the new season. Hot on the heels of this version is another update that should be available to you soon. This will add in a screen showing the dates for the phases of the moon, which will be handy if you are a werewolf planning your next night out. We have just given away US$500 again, that's now $5000 worth of prizes that have been handed out. Congratulations go out to Ayarka from Denmark and Ashok from India who each take away $250 for scoring 307 points. Well, It was a close game, and really anyone could win, and this time you'll be wanting to make sure its you! We've upped the prize as well to a whopping ONE THOUSAND DOLLARS. Orsome Software, in collaboration with the SA Weather Service, are pleased to announce the release of a fantastic new App for those who want to accurately monitor the weather around South Africa. SAWS provides truly accurate weather info, covering 7-day forecasts for over 100 towns ( every distinct catchment area in SA ) a rich set of over 1500 weather maps covering lightning strikes, temp, rainfall and even tracking of current storms across the country. Zoomable by country/province/region and covering today and tomorrow. The app gives three months of unlimited access, but after this time a subscription is required to access maps and more detailed data. Click this link to buy, or search for WeatherZA in the app Store now. 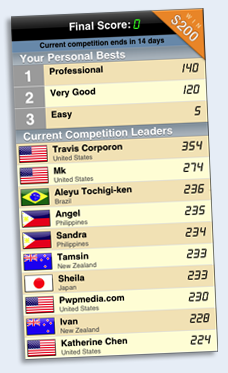 Our current competition in BubblePRO is due to finish tonight, and right now we have two players with the same score! 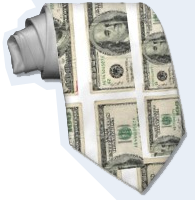 In the event we have a tie, the US$500 prize will be split. It hasn't happened in all the competitions we've had so far, and there is still a chance for someone to come in a blitz them both. If you haven't got BubblePRO yet, Here is the link, and even if you have you should get it out and give it another quick go. Good luck to you all! If you want have a wee bit of fun, you should try out uArt. We've been working with AIM Proximity, one of the world's highest awarded Ad agencies out there, and we've developed something pretty cool for Gillette. Go grab it and have a play, Its free! 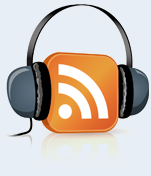 Did you catch this podcast? For those that like to hear celebrity interviews, :-) You could go grab the third episode from MacThePodcast where the host, Matthew JC Powell, speaks with Mark Webster and myself about all sorts of Orsome stuff. We were just sent a link to this report showing the 25 most popular apps available on the iPhone, and wouldn't you know it? BubbleWrap makes the list, just a peg above the likes of LucasFilm, Shazam, and Apple's Remote app, and only a little less market penetration that Facebook and Google. Thanks to the FOUR MILLION of you out there that have discovered, and are enjoying this fun wee gem. Welcome to those new users who have just discovered us after reading the entry in this months KiaOra magazine on an Air New Zealand flight. Just a quick note to let the you know we have added a few more channels into the selection available in tvGuide over here. I'm very happy to win this competition! Great to be BubblePro world champions for two weeks! "I am very happy to participate and win the prize. My best score was already on the first day, reaching a record 322 points, but still kept playing every day, from 4 to 6 hours a day! And congratulations to all participants of this competition, to continue playing. Who believes always reaches." So you heard the man, Go grab a copy yourself and get playing. A new competition is already underway, with another $200 going out to best score in the next two weeks. Have fun! Has love gone to our heads? A new BubblePRO competition has just kicked off. The game ends on Valentines day, February the 14th. Nothing says "I Love you" like spending time with your special person and popping bubbles together, Can you think of anything more romantic? Someone is going to win a grand... What would YOU do with it? 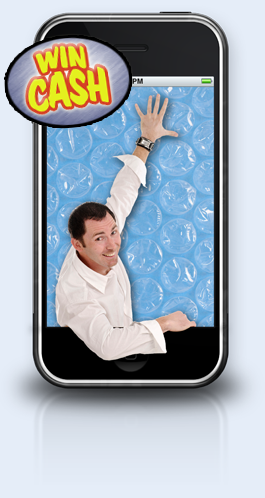 We know more than THREE MILLION of you have downloaded our free BubbleWrap program, so we know you'll like BubblePro. The game is similiar, but with online scoring that pays. Good Luck! Last week Orsome gave away another US$500. This time It went to Luis Urbina from the USA, who played BubblePRO for hours every day to ensure he took out the top prize. I believe he had some help from a friend to manage a score of 306, Well done! A new competition is already underway, and will finish next week, top prize is $200 this time round, so give it a go. Right now, getting a score over 285 will get you onto the high score chart... Good luck! 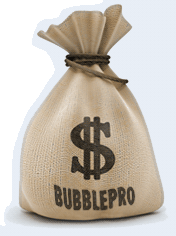 We have just given away another US$500 in our popular BubblePRO competition. This week we send off the prize to Luis in America. Once we get a photo from him we'll setup a wall of fame for the 10 winners we've had to date. Today Orsome Software was also a winner. 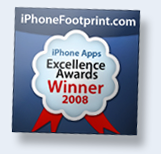 We have been recognised by the www.iphonefootprint.com site, for "the contribution of individual developers and small companies who have deployed innovative and high quality applications in the App Store." Gee, Thanks guys. tvGuide Arrival - Mamma Mia ! 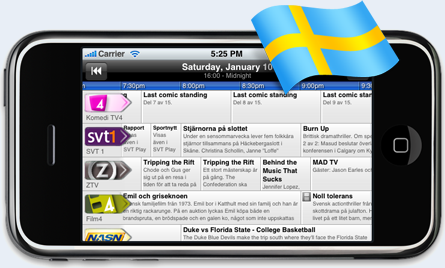 Orsome Software is pleased to be able to make our very popular tvGuide app available for the Swedish iPhone and touch users out there. UPDATE JAN 18: Just added in CANAL+ Action, Comedy, Drama, Film, First, Hits, Sport 1,2,extra, HD, Viasat Sport, Golf, Fotboll, Motor, SportHD and TV4 Sport. Apparently we're in the midst of a world-wide financial crisis, and after this promotion, I expect our accountant will be thinking it has caught up with Orsome Software too ! But we're not taking any notice of that, we're going to celebrate the end of a really great year by giving away a massive FIVE HUNDRED DOLLARS (US) as the top prize in the BubblePro game, starting Christmas day. Whoo hoo! We've done some work to address earlier bugs, and we're confident you all have an equal chance of taking out this prize. We know you've all enjoyed our free BubbleWrap program, so you really should go to the AppStore now and grab BubblePro. Your popping skills may provide a timely windfall for you. Good Luck, and have a great 2009. Today we received these photos taken from an orphanage in Thailand. This group of children, that live near the River Hwai bridge, are amongst those from all over the world, that find BubbleWrap "strangely compelling". I'm not sure of the score they get, but I reckon this must be a case of many hands make light work. 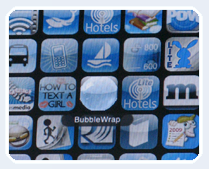 Apple have published their pick of the apps for 2008, and we are chuffed to see Bubblewrap has been given the honour of being named one of the 10 top free entertainment products of the year. Many of you have also discovered, you can put these popping skills to good use. If you want more of a challenge than BubbleWrap then maybe you should look at its commercial brother, BubblePro. 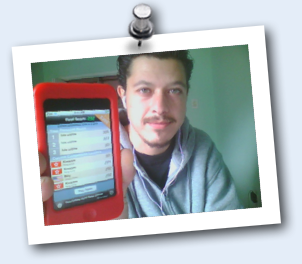 We're still giving away 100's of dollars to those that top the high score chart in this app each week. It costs just 99c on the appStore, and then you're in with a chance to win, and our list of prize winners just keeps on growing. Go get it now, the top score today is 274, Can you beat that? 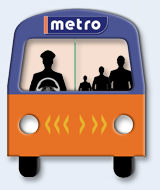 Another update has been submitted that improves the local bus program further. Based on some feedback we got from some of our Beta Testers/Early adopters, we have added in some distance information when viewing routes too. If you know what service you require, its now much easier to find the closest one based on your current location. The snow season has all but ended, but summer is just around the corner. 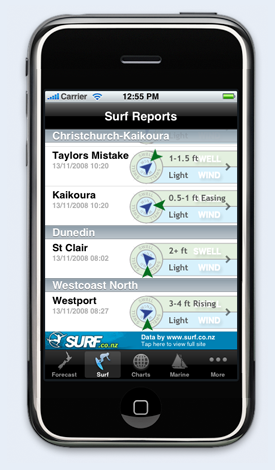 And to make sure you are prepared, the guys from surf.co.nz has now made available their content to the WeatherNZ app. The new 1.4 update includes this much requested data, at no additional cost. The new area shows the latest wind and swell information at a glance, and a single tap to take you thru to the full site to see latest image, forecast data and loads more. At Orsome, we love our local buses, but waiting at the stops can be a bit dull. To save us time, we've knocked up an app that lets you see just how long it will be before the bus gets to a particular stop. Its something we wanted for ourselves, so for starters, we're making it freely available because.. well, Just because we can. Right now this only works for those of us lucky enough to live in Christchurch, New Zealand, though this should work in a few other cities too that use this system, which we'll do if there is enough interest. What this program does it use's the location aware features of the phone, to show you nearby bus stops, and exactly how long before the bus will show up, for each of the routes that pass thru that spot. This is not using the static timetables, but the real-time tracking systems installed in each bus. UPDATE: It is up on the AppStore now, It's called 'MetroInfo' Enjoy! Every week we have been handing out dollars to the winners in the BubblePro competition. This week we've raised the pool to US$200 and its good to see now a few new flags popping up on the high score chart. Good luck to you all! Version 1.3 of the weather app is out. I'm sure you'll like the improvements. We have also addressed the issue regarding the sunrise/set times for primary ports. It may take a few days for this change to filter thru as the program does cache a week of this data. As always, send us any feedback regarding this update. We want this to be the best it can be. 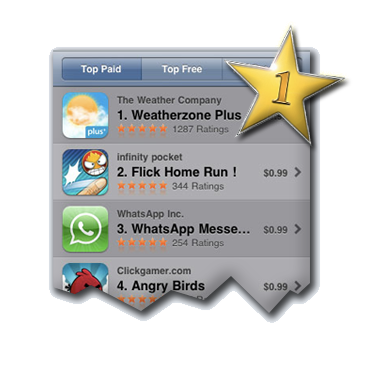 It was one of our first apps, but it still gives us a thrill to see it take out the #1 spot. Thanks for your ongoing support. The new version is just awaiting approval from Apple and should address the niggles a few of you have had regarding using the app when you are offline. The recreational marine data will please a few more of you too. Hopefully, there won't be much more of a wait. Keep an eye on the appStore for the free update. This is not the update to the existing tvGuide app mentioned elsewhere, but a completely new program pulling data directly from the most accurate and complete commercial source available. Stay tuned for updates. UPDATE: Sadly, we will no longer be releasing this product into the US market. Even though the app was complete, and in our view better than the competition in many ways, we have decided not to compete against those that have chosen to give away this costly data for free. "They said it couldn't be done, but I had to burst their bubble!" Johnny Marshall from the USA takes out the $500 prize in our first competition. Its a ridiculously high score I know, I've never had half of that myself, I believe you just tap like mental to get there, So, get popping again, a new competition has kicked off that will run just for four days this time. Go get busy. The first competition is really getting exciting now. 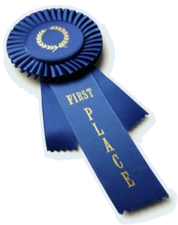 For a while it looked like it was going to be a three way tie, but now we have a few people that have discovered the way to score big ! If you are quick enough to keep pop the last available button, you will get two points, and if you can keep up with the rate they keep coming back, you could possibly get two points every pop. I've not been able to do this myself, I'm wondering if those big scorers are having a friend watch half the screen or something. See if you can figure it out. The New Pro game also rewards accuracy, with a bonus after enough consecutive clean pops. If you did the centre of an already popped bubble, you will lose a point. But I'm guessing you learnt that pretty quickly. There is still that random element to give you the 5x bubbles which means anyone can win. Good luck, and have fun! We have had a few ask if this is a one off, and we can tell you all, that there will be a new competition next week and a new prize to go for. The main server has now shifted to a new site that should improve performance and reliability, plus pave the way for an exciting new development, that we'll announce soon. If you experience any issues in the next 24 Hrs, be assured someone is busy already fixing it. We aren't expecting any issues but just letting you know that stuff has changed under the hood. "Our popular app is going on a big O.E." A small update to the tvGuide app is making its way thru the system now. This release addresses a number of bugs several users experienced when first making and ordering their set of channels in v1.2. There were other fixes incorporated in this next version that should make scrolling a bit smoother too. While we were in the code, we slipped in a couple of new features related to showing when a program is broadcast in HD, or if it is the final or premiere of a programme. It looks pretty sweet. Oh, and did I mention we support more channels now too? Despite how our Australian neighbours have treated us in the rugby recently, we've extended the app to support a wide range of channels for them, plus the most popular channels for the United Kingdom. There is nothing stopping those in the UK and Aussie from grabbing the current version and seeing their favourite channels now, but I would recommend that you quit the program straight after adding in new channels, to let the app save the selection incase it crashes on you. This new version that fixes that, and brings these other improvements will be free, and should show up in this next week. 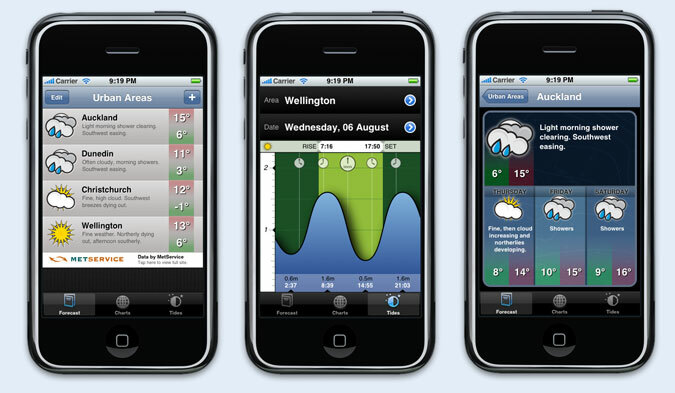 "Updated weather app adds polish and new features..."
Orsome Software has just gone 'Golden Master' on the next revision of their successful WeatherNZ application for the iPhone and iPod Touch. 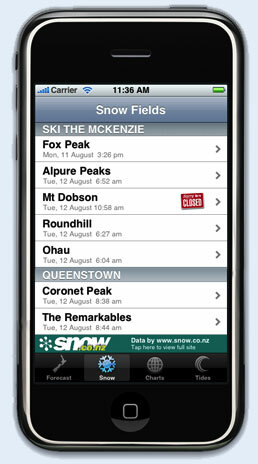 Now, in collaboration with www.snow.co.nz, we are able to provide up-to-date reports from all NZ slopes. Simply tap an item in the list and see all the available data, right at your fingertips. This version adds in the urban areas missed on the initial release, adds new icons, and also gives you a number of other features, all with no upgrade cost. What a bargain! Now you can see last reported temperature, wind speed and direction for any New Zealand urban area. This data comes straight from the MetService of NZ and is updated eight times a day, When you get this app loaded, make sure you try rotating the device. The Tide display looks 'O for Orsome' sideways, and now displays two days of tides at a time, with accurate sunrise/set times to boot. It may take a few days for this to filter thru the system, so just keep an eye on your AppStore updates button for news of its release. "Our much anticipated, weather application has made it to the store"
WeatherNZ is the best way to get accurate weather information on your phone or touch. With up to date data, fresh from NZ's own MetService, you can now see the same feed of information that goes into our papers and to local TV. Tide data supplied by LINZ is great for anyone working or playing around the coastline, or for the rest of us that just like to see wizzy cool charts. Check out the Sitation maps too, updated several times a day. 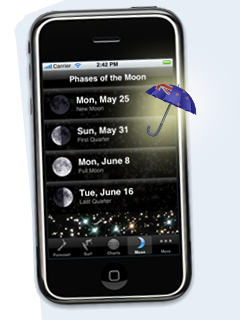 Available by searching for 'WeatherNZ' on the appStore now. PS: Due to a fault at my end, Greymouth, Hamilton, Levin and Hokitika are not present on this first release of our app. This will be addressed in a free update that will ship shortly. Look out for a new app called 'MyTrades' soon. It allows you to set a list of people whose TradeMe auctions you wish to monitor. Its not a full on client for the whole site. More of a tool for sellers to check how their sales are going. What is very cool is you can click on any item to see more details from the listing, and if you want you tap a button and the view flips over and it takes you right onto the full TradeMe web page, so you can respond to any questions or check out more details on the bidders. This program should appear soon, exclusively on the New Zealand, iTunes App Store.